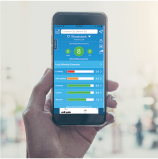 “The Springs,” once known as a resort city, has a strong military presence and a growing commercial economy led by varying components of the high-tech industry. Several military installations, including the U.S. Air Force Academy and the Space Command are located within or near the city. The surrounding prairie provides grazing land for cattle and sheep. Summer weather is notably pleasant and dry, with only 15 days above 90 degrees. The Rockies to the west and Denver to the north provide a broad range of outdoor recreation and other entertainment. The area has seen – and has been strained by – a dramatic population growth over the last 30 years. Some of the accompanying physical and infrastructure growth, especially in its suburbs mainly to the north, is unattractive in contrast with the existing landscape. The influx has also brought some crime problems. Employment growth slowed, in part due to the downturn in the high-tech industry, but seems on an uptrend once again. The climate and physical setting are nice, there is plenty to do, and it is an attractive place to live overall with few major negatives. Colorado Springs is located in relatively flat semiarid country on the eastern slope of the Rocky Mountains. Immediately to the west the mountains rise abruptly to heights ranging from 10,000 feet to 14,000 feet. Rolling prairie lies to the east. The climate is high-altitude continental with mild temperatures for the altitude. Uncomfortable extremes in summer and winter are rare and of short duration. Precipitation is relatively sparse, with over 80% falling between April and September mostly as thunderstorms. Humidity is low and it can be windy. First freeze is October 1, last is early May. 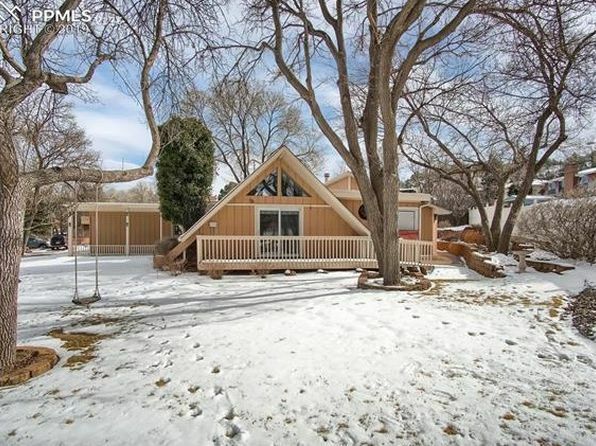 The median home price in Manitou Springs is $363,400. Browse Homes in this Range. 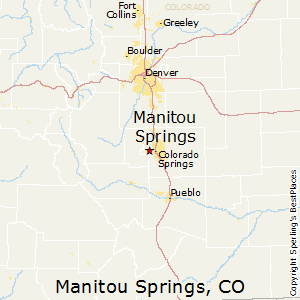 Compare Manitou Springs, Colorado to any other place in the USA.